Speaking to the Harlem9 team is like speaking to a group of old friends. 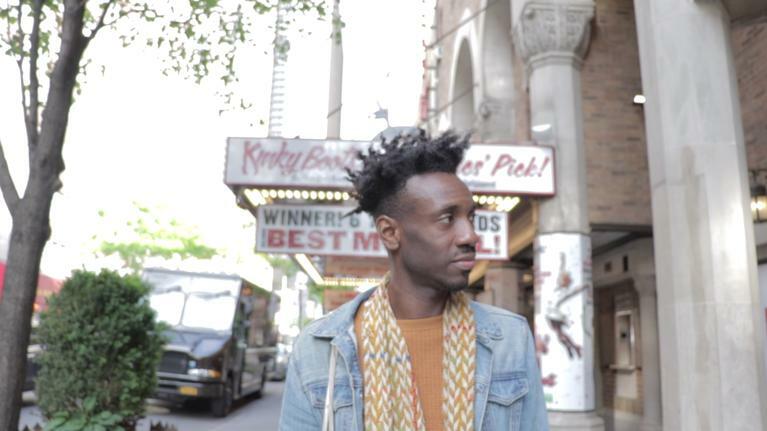 This group of interdisciplinary artists has been collaboratively producing the Obie Award Winning 48HOURS IN… ™HARLEM festival for the last seven years, making their family vibe strong. 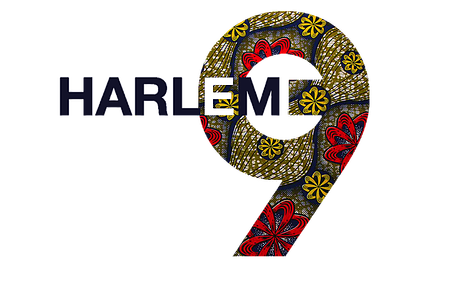 Harlem9 is an arts organization comprised of various producing entities that have come together in Harlem to explore the past, present, and future of Black culture and celebrate the rich history of storytelling within the African diaspora. 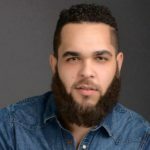 Garlia Cornelia, Bryan E. Glover, Eric Lockley, Jonathan McCrory, and Liberation Theatre Company (Sandra A. Daley-Sharif and Spencer Scott Barros) are the producers that comprise Harlem9. 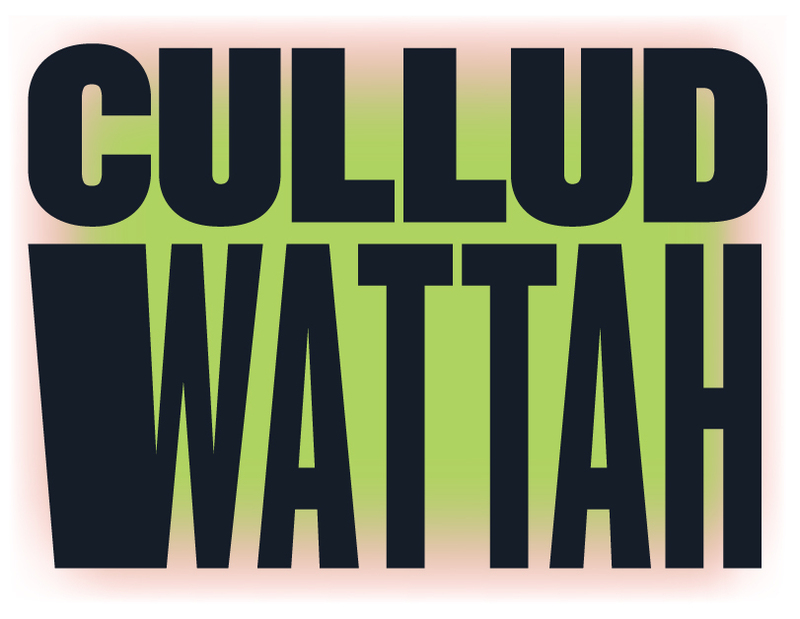 The event brings together 6 Playwrights, 6 Directors and 18 actors who respond to a literary prompt. 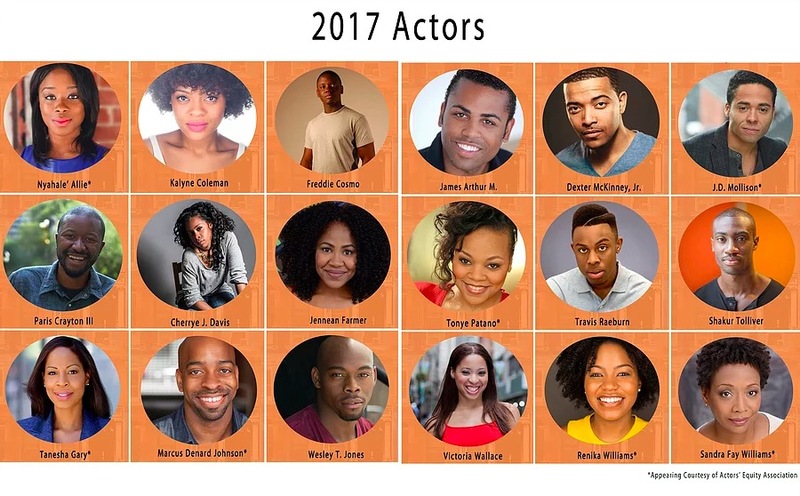 Within 48 hours Playwrights write an original play, Directors direct an original production, and actors perform it off book for audiences. The 7th Annual 48HOURS IN… ™HARLEM takes place on August 13th at 9:30 pm. 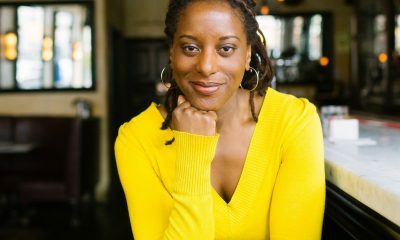 The six playwrights include Jordan E. Cooper, Kelley Girod, Daniel Alexander Jones, Donja Love, Cynthia Robinson, and Stacey Rose. 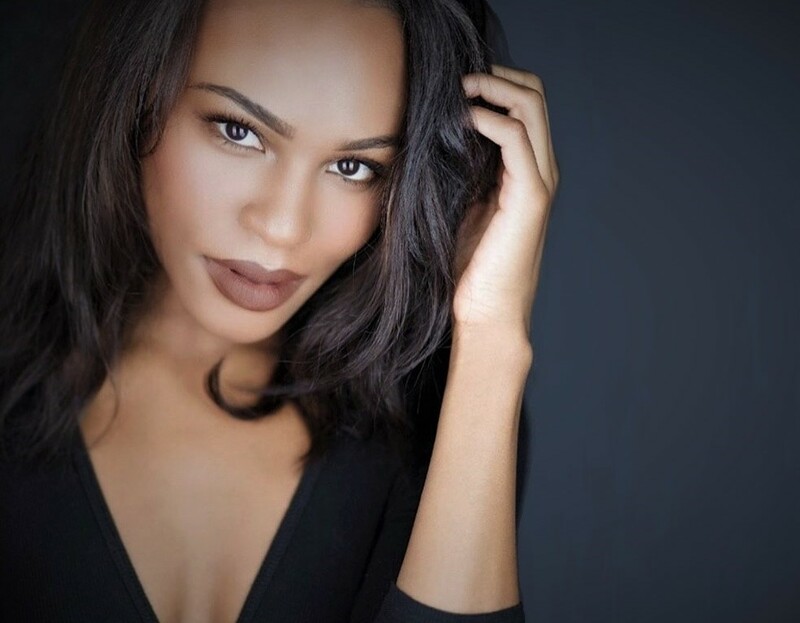 Playwrights will re-imagine short stories and poems from renown writers James Baldwin and Sonia Sanchez into 10-minute plays. This year’s Directors are Steve H. Broadnax III, Rodney Gilbert, Mary Hodges, Candis Jones, John Eric Scutchins & Monica L. Williams. 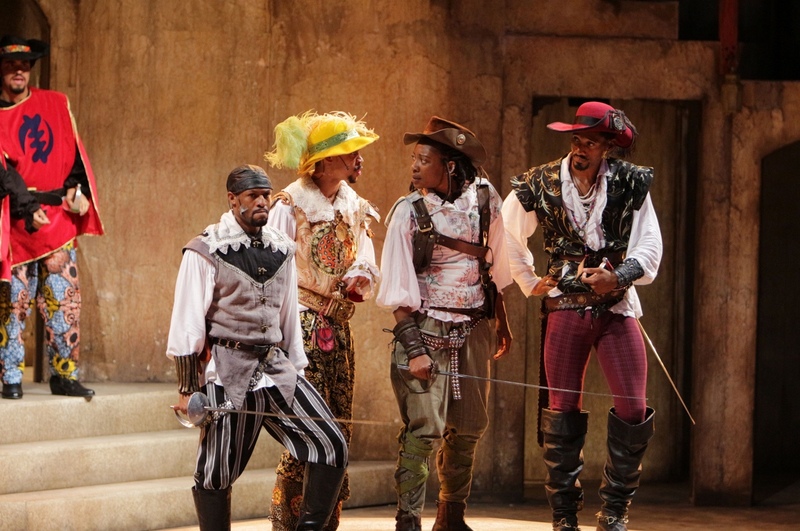 On the surface, this one night only-two performance event at The National Black Theatre is an intense exercise in dramaturgy. 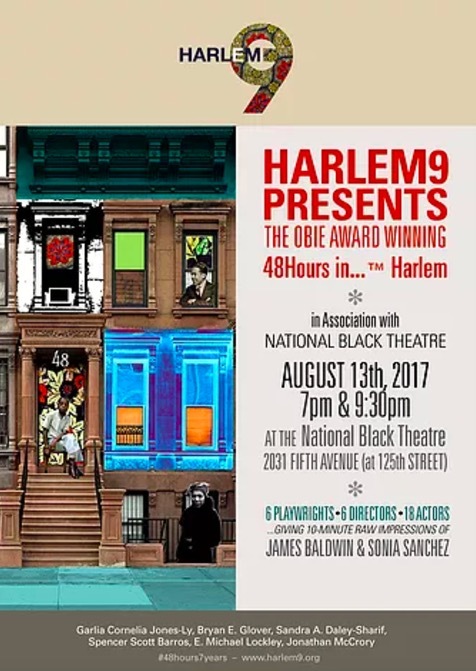 This monumental birthing of art is driven by the Harlem 9’s deep commitment to bringing Black people together in the present moment while honoring the legacy of Harlem as the mecca of all things Black Art. 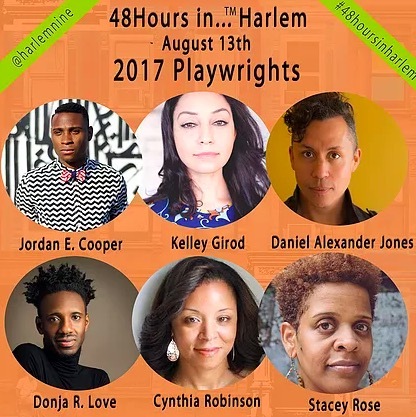 Harlem 9’s twist on the traditional 24-hour play festival is only a small part of the magic that makes 48 Hours in Harlem special. The team is deeply committed to caring for each other within those 48 hours; evident to the commitment each has made the last 7 years. 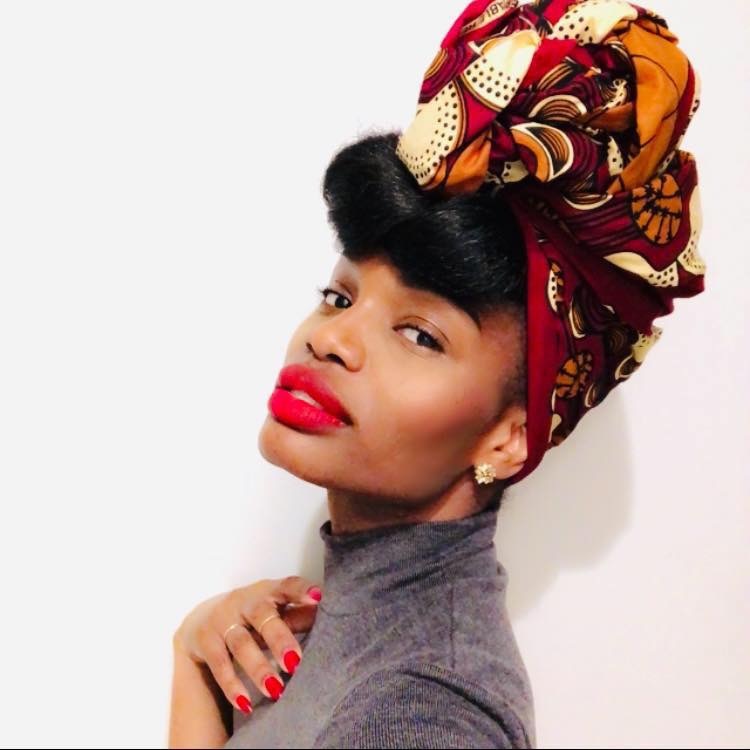 Writer, Director, and Harlem9 founding member Garlia Cornelia Jones-Ly shared that in the last 7 years her life has changed tremendously, resulting in a role shift within the Harlem 9. Despite life transitions, the care her colleagues provide leaves her feeling loved and supported. The 48 Hours in Harlem fete requires all hands on deck, as each member shared stories of needing naps and having each other’s back to incorporate self-care into the project for themselves. The holistic attention they offer each other overflows into the collective care they provide the diverse group of artists they bring together for one weekend of marathon art making. This community offering is critical in the hardest moments of the festival, especially when they are down to the wire and actors are exhausted. 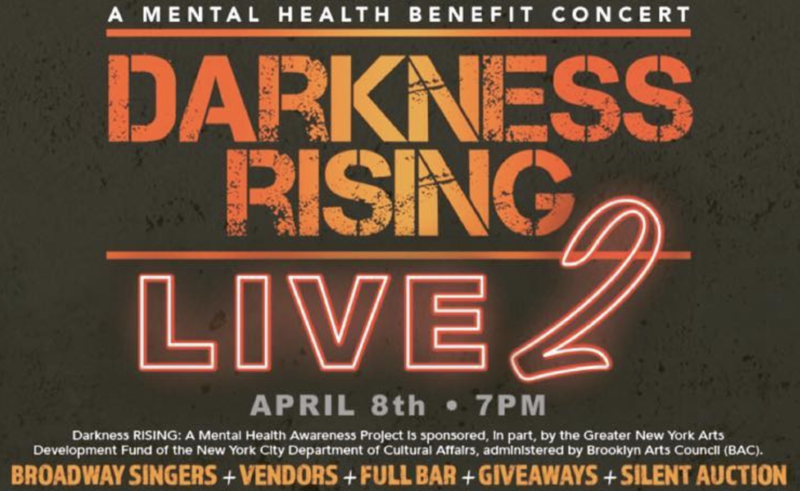 The Harlem 9 team is an excellent model for collaborative community based devised theatre and risk taking in art creation, a testament to the reason they have lasted this long. 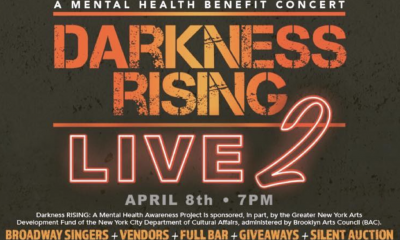 They offer compensation to their artists and are raising money for this production on Go Fund Me. 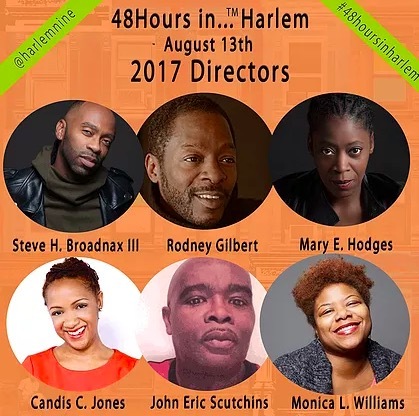 Tickets are now on sale for their August 13th culminating event 7th Annual 48HOURS IN… ™HARLEM – 7PM AND 9:30PM at The National Black Theatre in Harlem NY.